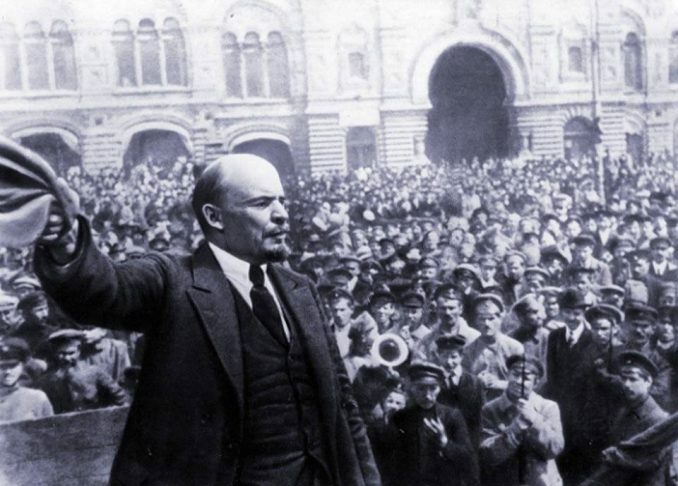 Lenin speaking in Moscow, October 1917. Life is full of contradictions. It is the development of the means of production that makes socialism possible. But the consciousness needed to actually fight for socialism has so far been greatest in those countries where the means of production have been stunted and even obliterated by the imperialists. 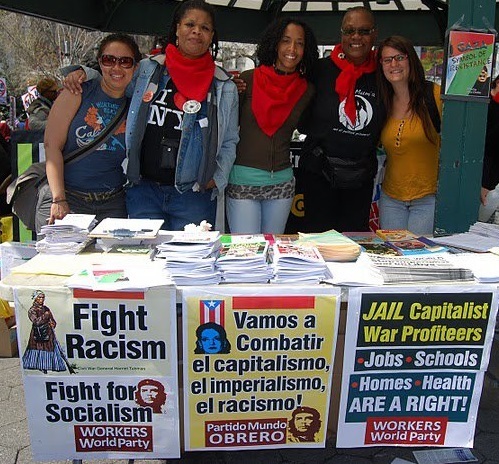 Enthusiasm for revolutionary change that can bring down capitalism and replace it with socialism is energizing a new generation in the United States. It’s no secret why this should be happening. A thousand fault lines are becoming not just visible but dangerously threatening in the existing economic and political system. Every day brings a new catastrophe or tragedy as the class in power — that small group of multibillionaires who have concentrated half the world’s wealth in their hands — revels in its riches, even as misery and fear of what the future will bring seize more and more of the ­population. Moreover, this supposedly “democratic” political system has put in the top office an erratic and self-absorbed racist billionaire whose outlandish behavior makes him a danger to the people of the world and a liability even to many in his own class. 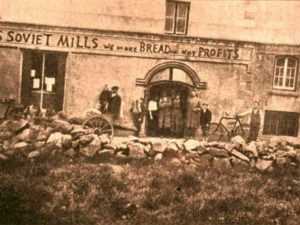 At one time, beginning more than a century ago, many workers in Europe and even the United States understood that capitalism meant exploitation, robbing them of much of the product of their labor. They also understood that the bosses had a conscious strategy to split the working class into pieces, divided by race, national origin, language, religion, gender, and any other differences that could be inflamed by constant propaganda and pressure. Many workers resisted all this, and poli­ti­cal parties that put socialism on their banner and called for solidarity were strong among the working class and provided leaders of many organizing struggles. But it’s been a long time since those early reds, radicals, revolutionaries were hounded out of the labor movement, the schools, the arts and so on in the United States. They were pilloried by the powerful capitalist media. 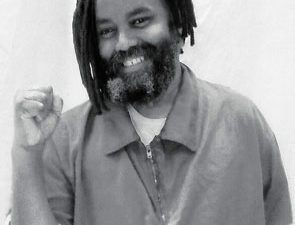 The perception that there could be revolutionary change, especially in the U.S., was ridiculed and condemned by the whole stable of bourgeois intellectuals and politicians, who preached then — as they do now — that there would be gradual improvement in the conditions of the masses, but only if they worked within the system. The focus of most of these attacks on socialism and communism was the Soviet Union. As soon as the Bolshevik Revolution took power in 1917, the bourgeoisie mustered all its resources to demonize and ridicule the new workers’ state. And while the USSR no longer exists, that hasn’t stopped them. Quite the contrary. It has given them even more ammunition to proclaim that socialism will never work and capitalism is the only system that can innovate and provide people with what they want and need. So it’s very important that anyone who wants to resist this system of wage slavery and fight for socialism should be able to explain both the amazing successes of the USSR and also the enormous difficulties that the first workers’ state had to deal with in its more than 70 years of existence. It’s now exactly 100 years since that revolution, and that is a long time for individuals. A whole new generation has grown up just since the collapse of the USSR in 1991. This new generation needs to know what was achieved despite all the obstacles, as well as what brought the USSR down. This series of articles will focus not so much on the subjective problems of leadership. Those problems were very intense and affected the world communist movement very deeply, particularly after the death of the acknowledged leader of the Bolshevik Revolution, V.I. Lenin. Rather, the series intends to examine the Russian Revolution within the framework of the Marxist view of social evolution. It will also look at some of the theoretical contributions made by Lenin, who analyzed the profound impact on the working-class movement that came with the transformation of capitalism into its highest and final stage, imperialism. This transformation deeply affected the consciousness of the workers in both oppressor and oppressed countries, but in opposite ways. Lenin, it should be remembered, wrote his classic work on imperialism during World War I. It was published just one year before the Bolshevik Revolution. It was key to understanding why in underdeveloped Russia, where so many could not even read, the workers and peasants of many different nationalities would become the most revolutionary fighters against class oppression. Marx had formulated his revolutionary views on the transition from capitalism to socialism in an earlier period. He had shown how the development of the means of production in the long run determines social relations. When early human societies struggled to provide food, clothing and shelter with the simple tools they had, it took cooperation and sharing to ensure that the group survived. There was no surplus to fall back on — or to fight over. But as survival techniques and tools gradually improved, there came a time when there were surpluses, and eventually the emergence of a leisure class that did not have to work but could appropriate to itself, usually by force, the fruits of others’ labors. As surpluses grew and human societies became more stratified, slavery emerged, then feudalism and finally capitalism — all different forms of class oppression made possible by the growing productivity of labor. Capitalism in Europe was revolutionary in relation to feudalism. It unleashed science and technology from the fetters of mysticism. As a result, productivity improved by leaps and bounds. By the time Marx developed his dialectical materialist view of social development, it was already clear that poverty and ignorance could be abolished completely if the rulers were overthrown and the social product shared equitably among the working people. The idea of such a society was no longer utopian; it could be realized given the high level of productivity. Most assumed that the revolutionary change to make this possible would come first in the countries of Europe and North America, where scientific-technological development in the means of production was the highest. But what we have seen since then is something very different. Beginning with the Bolshevik Revolution, and continuing with the Mongolian, Chinese, Korean and Vietnamese revolutions in Asia, the liberation movements in Africa and the Cuban Revolution in Latin America, it was the masses of people in oppressed countries who avidly responded to the ideas of socialism and communism. They rose up by the millions behind Marxist-Leninist leadership to effect revolutionary change and begin to liberate themselves from class oppression. This is where Lenin’s deep understanding of imperialism has so much to offer us. He demonstrated quite meticulously how at a certain stage of monopoly capitalism, the accumulation of surplus capital in the hands of the ruling class drove them to find new areas for investment. This was not just the old colonial expansion of the commercial and industrial capitalists looking for new sources of raw materials or, in the case of the United States, for people to enslave who then had to toil in cotton fields tied to the world capitalist market. Imperialism was an even more compelling, expand-or-die stage of capitalist expansion, one that has led to two enormously destructive world wars and the unimaginable growth of the military-industrial-banking complex. World War I was a horrible expression of the new imperialist era. From 1914-18, some 65 million troops were mobilized. By the war’s end, more than half of them — 37 million — had been killed, wounded, were missing or taken as prisoners of war. Millions more civilians died of war-imposed famine or disease. 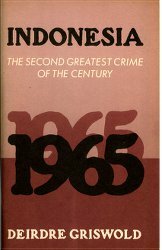 Lenin’s book “Imperialism” was not just about economics. It was also about class consciousness and the effect that imperialism had on the thinking of workers in both the oppressed and the oppressor countries. Remember, he wrote this book when what was then the world’s most destructive war had been raging for two years. Germany had a dynamic capitalist economy but relatively few colonies compared to Britain, France, Belgium, Holland and the U.S. To survive in the dog-eat-dog world of global capitalism, Germany had to become aggressive and try to grab territories that were already being exploited by the older colonial powers. It was a recipe for world war. The Bolsheviks of Russia had opposed the war long before it even started. Other European parties in the powerful Socialist International also passed resolutions calling for solidarity of the workers of all countries against their exploiters and the coming war. But once the shooting started, the leaders of these parties capitulated to the ruling class inside “their” countries under the intense war frenzy. Members of these parties in their parliaments, with only a few exceptions, voted for war credits — the funds to wage war. That was the end of the Socialist International, as workers from the belligerent countries followed the ruling classes’ orders to shoot each other. And millions died. In response to this assault on working-class internationalism, Lenin and a few dozen co-thinkers from other countries met in the Swiss town of Zimmerwald in September 1915 to denounce the war. Lenin called for a class war against the rulers who were taking a whole continent into the slaughter. When, during the first part of 1916, he wrote “Imperialism,” it was partly to show the material basis for the disastrous collapse of the social democratic parties that had occurred in western Europe. The imperialists, rolling in the super-profits they had extracted from their colonies, could afford to make concessions to the workers at home in order to buy their loyalty. A privileged “labor aristocracy” arose within the working class. This development drained the revolutionary energy from their struggles. Imperial Russia was not imperialist in the same sense. It had only recently emerged from outright feudalism, and its economy was still overwhelmingly agrarian. It had no overseas colonies. But in a few key cities, tens of thousands of workers toiled under the most oppressive conditions — the men in heavy industry, the women in garment factories. Once the war came, these workers rubbed shoulders in the trenches with impoverished peasants who hated the landlords as much as the workers hated the bosses. Other workers became forced laborers on the czar’s warships. All of them hated the ruling class that had forced them into the bloody war, and they were ready to turn their guns around given an opportunity to get rid of their tormentors. Out of this mix came the most profound revolution that the world had yet seen. It validated the Marxist view of social evolution and the role of the proletariat as the class that could lead the struggle to abolish class divisions. But it also validated Lenin’s view on the role of imperialism in holding back — for a time — the revolutionary potential of the working class in the developed capitalist countries. Next: Isolated and poor, the young USSR nevertheless surpassed the West in many areas of social development.